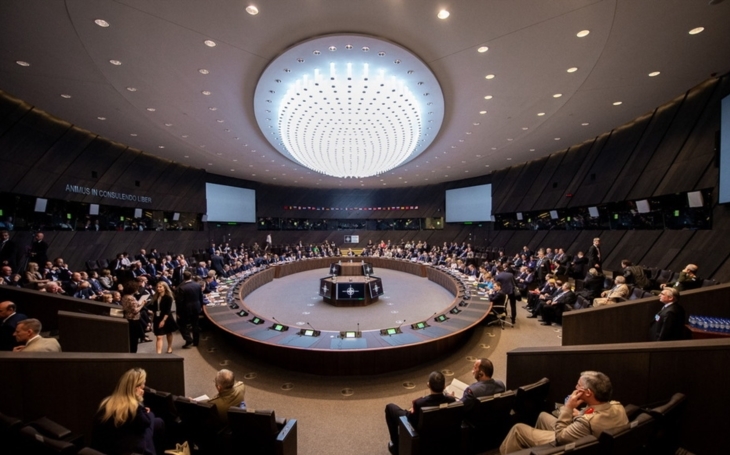 Leaders of 29 NATO member states were present to the Summit held in Brussels on the 11th and 12th July. The Czech delegation was led by President Miloš Zeman on the first day, and Prime Minister Andrej Babiš (ANO) and Minister of Foreign Affairs Jan Hamáček (ČSSD) on the second day. The Ministry of Defence was represented by Deputy Minister Jakub Landovský. According to the Secretary General Jens Stoltenberg, the decisions at the Brussels Summit show that, as the world changes, Europe and North America stand together and act together in NATO. The major debates during the Summit were centered at the defence expenditures by the member states, which are one of the top priorities and concerns of the current U.S. administration. U.S. President Donald Trump repeatedly urged the European allies to strenghten their defence budgets. He said they should increase their defence spendind to 4 % of GDP, which is double of the existing accepted, yet mostly unattained goal. The U.S. defence spending actually reaches about 3.7 % of the GDP, while the average spending of the other member states combined is about 1.5 %. Only U.S.A., Greece, Estonia, United Kingdom, Romania and Poland spend 2 % or more, followed by France at about 1.8 %. „The Alliance comes out from the Summit strengthened and united, which is important before the meeting of Presidents Trump and Putin. The U.S. pressure on a more equal sharing of defence expenditure is bringing results even now. It is good that all NATO members realise the importance of increasing the defence budgets, which they have repeatedly and voluntarily pledged to do,“ the Czech Deputy Minister of Defence Jakub Landovský said. A decision to adapt and strengthen the NATO Command Structure was taken to enable the Supreme Commanders to command and control forces. NATO announced establishment of a Cyberspace Operations Centre in Belgium to provide situational awareness and coordination of NATO operational activity within cyberspace, a Joint Force Command Norfolk HQ in the United States to focus on protecting the transatlantic lines of communication, and a Joint Support and Enabling Command in Ulm, Germany, to ensure freedom of operation and sustainment in the rear area in support of the rapid movement of troops and equipment into, across, and from Europe. The Declaration also reconfirms that the NATO Ballistic Missile Defence project is not directed against Russia and is intended to defend against potential threats emanating from outside the Euro-Atlantic area. NATO also reaffirms its commitment to ensure long-term security and stability in Afghanistan. According to the Declaration the Resolute Support Mission is achieving success in training, advising, and assisting the Afghan National Defence and Security Forces. The Czech Republic will increase the number of its soldiers within this mission from 250 to 390. NATO also commends the Iraqi security forces for their success against ISIS, and says it will launch a non-combat training and capacity building mission in Iraq, at the request of the Government of Iraq, to support the Iraqui efforts to stabilise the country and fight terrorism. According to the Czech Defence Minister Metnar the Czech Republic is ready to join such mission actively; it already has 50 troops in Iraq and their number would soon be increaded to 110.